With online shopping getting broader in terms of product availability, the addition of dual sport tires has become a relief for motorcycle heads like you and me. For one, it is now more convenient to sit back at home and with a few clicks, your tires are right on your doorstep. As a result of too much selling online, we find it near difficult to point out which dual sport tires are the best. When looking for an awesome dual sport tire for your bike, they have to be reliable and easy in your pockets. Motorcycling is a bit of an expensive hobby, but passion pushes you to ultimately forget about expenses. This article aims to assist you in purchasing your best dual sport tires. After learning the aforementioned, it will be up to you to decide on which is the best for you. **Below, you'll find my more detailed reviews about the motorcycle dual sport tires, but you can also click the links above to see current prices or read customer reviews on Amazon. The reversible tread pattern with an indicator for wear will increase the longevity of the tire’s usage. 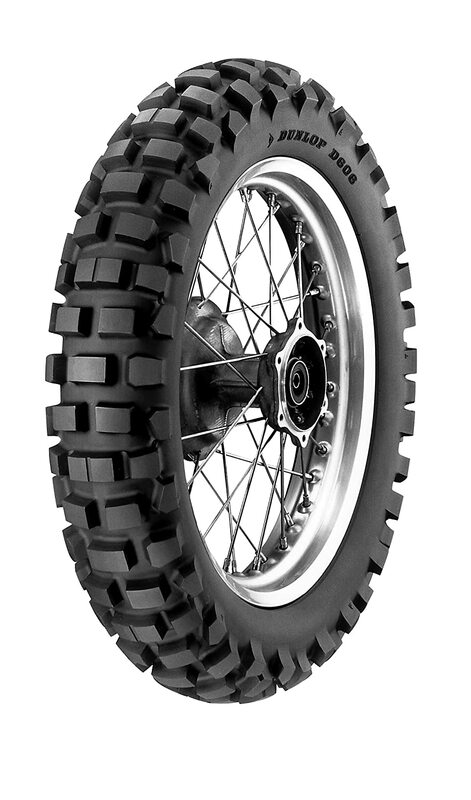 Once the ‘M’ indicator on the tire disappears, this dual sport bike tire can be reused by reversing its position against the rim. We tried these (front and rear) you can definitely feel the knobbies during lower speeds. Starting at 30 miles per hour, you won’t feel them anymore. A long 300-mile ride over the weekend was a blast. Running them on dirt was also as exciting. I also noticed the traction is lacking on the streets compared to the stock tires I had. When braking it is also prone to loss of traction but nothing to be alarmed about. It’s a bit slippery, but no motocross tire is perfect. Some might find it weird to ride on this tires on proper roads, but hey, no dual sport tire is perfect on both pavement and dirt at the same time. The tires work great on the latter. The tire wears a bit faster compared to the others that I have tried. One of the best dual sport tire we tried that is optimal on both on and off the roads. Their claim on 40/60 ratio proves to be true as we also feel the same optimization. The Kenda K270 Dual/Enduro Front Motorcycle Bias Tire offers great off-road grip without sacrificing wear on the streets due to its special rubber compound. I tried this on our 1976 Yamaha DT175 replacing the OEM tires and it still rides great. Unfortunately, sand and mud tend to cling around the tire so I think this is good 80% on the road. The stiff sidewalls also make it hard to do big airs. It also has no side lugs which makes it a bit difficult to get out of sticky situations. I’d say these would be fine for dry dirt trails, grass, and gravel roads. The tires, though, are too soft for serious off-roading. This dual sport tire lasts up to 5,000 miles, but it is advised not to go over 100 mph. When it comes to braking and traction on a range of surfaces, this dual sport tire is excellent. It also performs well in high cornering, especially on soft terrain. It’s a bit bouncy on certain speeds, though. Again, this is good for pavement, not much for dirt tracks. To find more information about Kenda K270, let’s take a look on this article. Four-ply construction makes this dual sport tire hard to get rid of as it stays longer on your bike. The longevity makes up for its high price. The dual ratio leans more on highway use rather than on dirt. This dual sport tire is rated 80% On Road and 20% Off Road which sides more on the highways rather than the dirt. If you are looking for a tire that you can spend time on both sides practically the same time then this may not be for you. However, the four-ply construction makes this dual sport tire durable. The dimpled edges are specially designed to maximize traction. The makers claim that the dual sport tire is balanced on highway and offroad performance and after trying it out for a spin, it is indeed. This dual sport helmet is awesome on both offroad and highways and yet it is budget-friendly. You’ve read that right, not all best dual sport tires are expensive. One of the cheapest we could find online and at the same time reliable and durable is the Shinko 705 Series Dual Sport Rear Tire. Not all the best dual sport bike tires out there need to be expensive. One downside though is that I observed bubbles on the tread when I tried using it at high speeds on highways. The cheap price compensates for that so it’s not really much of a big deal. The 4-ply nylon construction makes the tires tough. It also comes with Tube type and Tubeless variants. To decide if the Shinko 705 was suitable for your bike, you can read our review about this product. Dual sport motorcycles may come in a range of sizes, heights, and durabilities. Bikes that are ridden on roads are sacrifice qualities that would be beneficial for offroad use, that and vice-versa. Those that are primarily on the trails need to be a much lighter dual sport motorcycle compared to that mainly used on the streets. Trail riders often fall and they sometimes have to lift their bikes up and they need to do it with ease. This is the logic behind it. How does a dual sport tire differ from ordinary bike tires? Do all bikes have dual sport tires? Do you need to have dual sport tires on your bike? 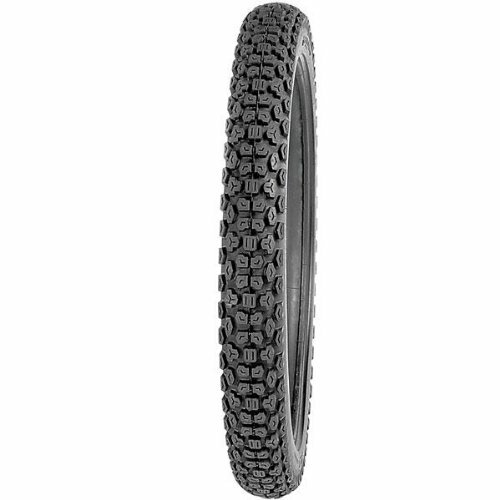 Can I use ordinary road tires when doing off road bike trips? Are expensive dual sport tires the best? Personally, I prefer to have a balanced performance on road and off road. This is why I choose the Shinko 705 for my best dual sport tires. As I’ve said over and over, not all best dual sport tires are the most expensive. This one is easy on the pocket and at the same time performs as good as the branded ones. The front model is also reversible, which would be cost-saving. 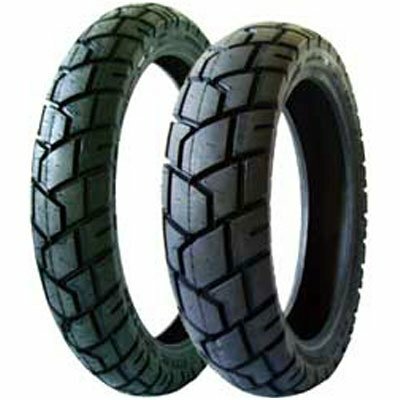 The rubber composition offers that smooth drive both on dirt and the road. The tire is great for daily drive, no issues whatsoever. We hope that after reading this article on dual sport tires, you get more information to choose the best. Feel free to drop your comments below. As always, keep it here on Motor Manner.